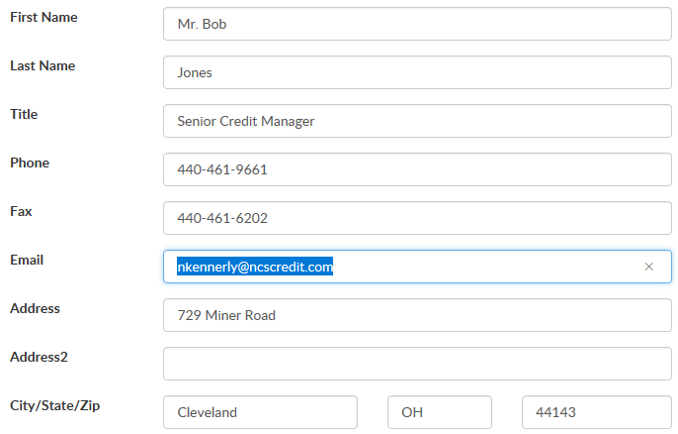 You can add new contacts and modify existing contacts from within your NCS Online Services portal, at your convenience! 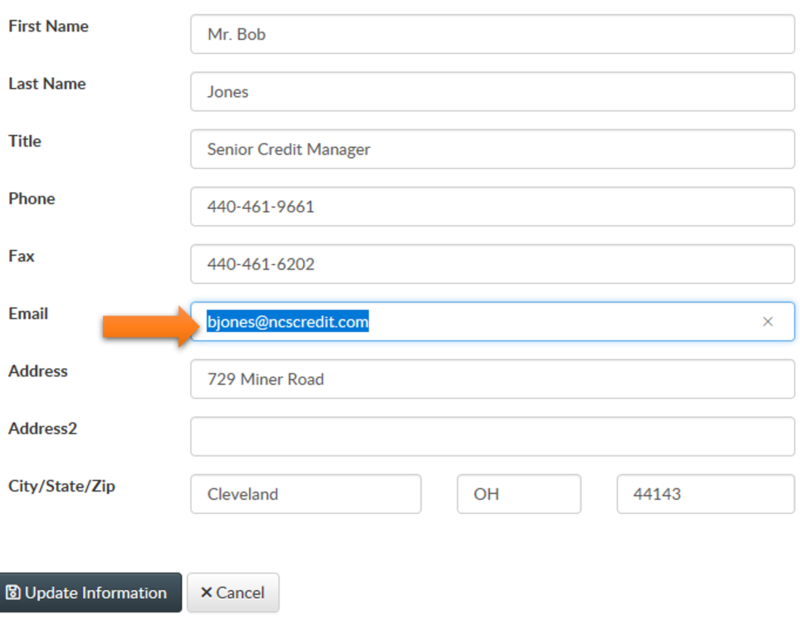 Click your name in the top right corner & select Edit Contact Information. The screen will refresh and by default it will display blank fields to add a new contact. Complete the available fields and click Update Information. Once you click Update Information a confirmation message will appear at the top of the screen. You can repeat these steps to add additional contacts as needed. After the new contact has been added to the NCS system, the contact will receive a Welcome Email which will contain login information and pertinent NCS contact information. Need to Update an Existing User? 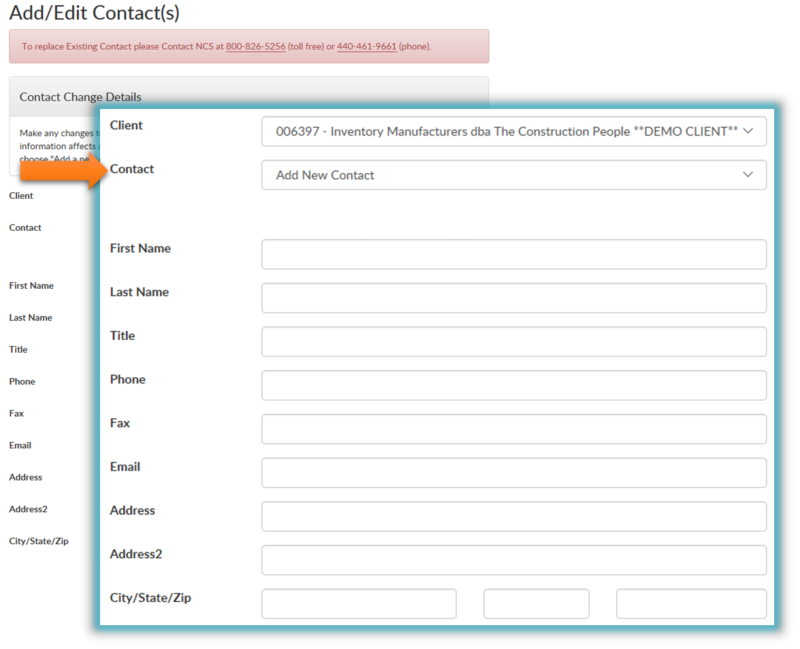 Instead of completing fields for the New Contact, click the Contact drop down to display a list of all current contacts. 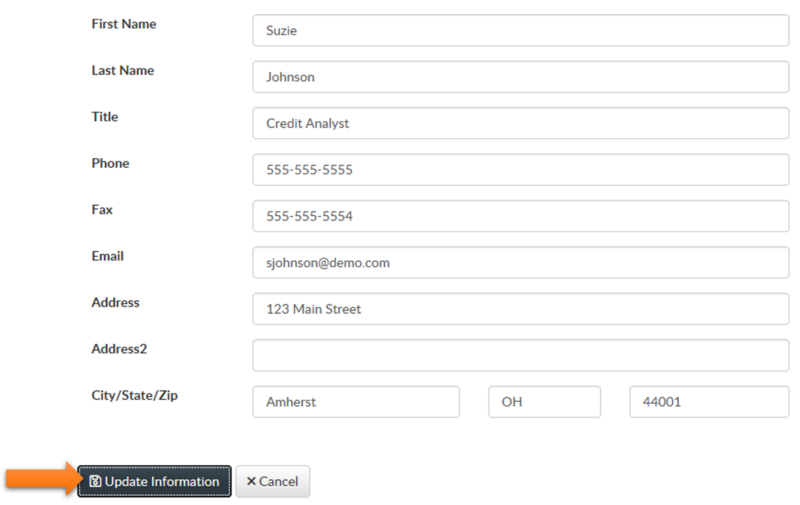 Select the desired contact from the list & the information will populate in the fields below. Make any changes needed and click Update Information. NCS will then make the indicated changes and contact you if there are any questions. In this example, I’m going to update the email address for Bob Jones. NCS will process all additions/changes within one business day. If a contact should be removed from the system, please contact NCS. You can email us SecureYourTomorrow@ncscredit.com, call us 800.826.5256, or click the live chat option that appears on the lower right of the screen!